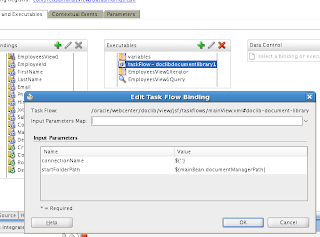 Few days ago I was describing Oracle Universal Content Management (UCM) 11g connection setup from JDeveloper 11g for Oracle WebCenter 11g ADF task flows - Oracle Universal Content Management 11g and Oracle ADF/WebCenter 11g Integration. 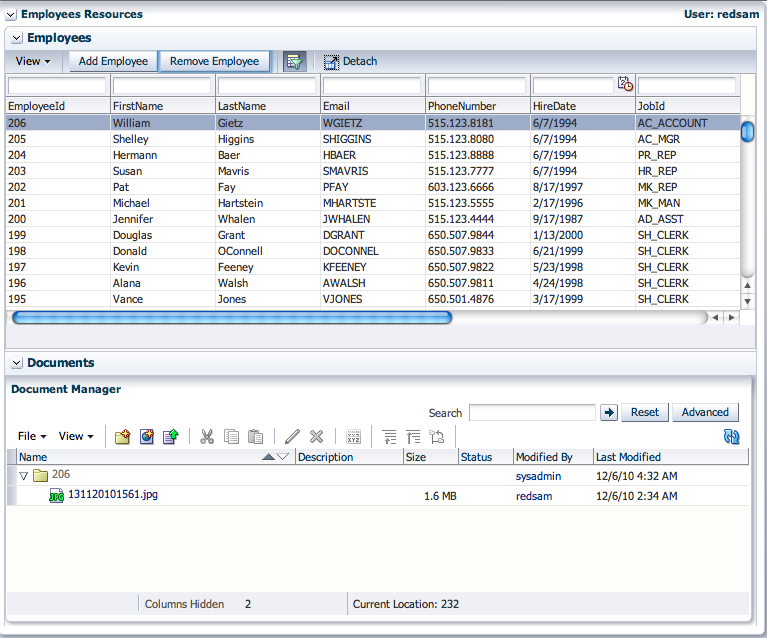 Its great we have out of the box WebCenter ADF task flows for document management in UCM. However, for complete business scenario implementations usually its not enough and we need to manage Content Repository programmatically. This can be achieved through Remote Intradoc Client (RIDC) API. Its quite hard to find any practical information about this API, but I managed to get code for UCM folder creation/removal and folder information. Will share it today with you, through sample application - UCMNewFolder.zip. 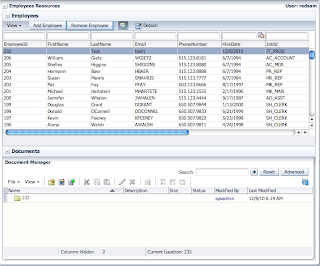 To compile this sample application, you will need to install RIDC library as extension for JDeveloper 11g. Please read instructions available here. Below I'm listing RIDC API methods from sample application. Connection with UCM is established through socket type, without specifying Content Repository password, Identity Propagation is done automatically through ADF Security Context. Like for instance, if this employee has a picture, you can store this picture as a content in his folder, and instead of having iconized picture in Document Library taskflow, you can use dynamic converter to show the actual content of the document selected, same goes for PDF, Word and all extensions supported by Dynamic Converter. something that do the same thing using other two access way.I will try to do it. This is fantastic stuff to connect to UCM from plain java. thank you for information about ridc. Where do you get information about input parameter to the different services? For example COLLECTION_GET_CONTENTS. Service reference only list the name. Very good article. 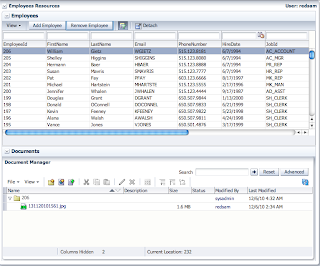 I also use RIDC in my project and I wonder is ther possible to search specified folder by custom metadata? From other hand I specify metadat as input parameter and the function (idoc script if exists) return me a folder id or a list of ID's. I believe this should be possible, you should check in API, operations for find. I have created a XML document as datafile and I converted into a stream, so how could I use this to upload or create a new web asset for a specific REGIONDEFINATION. I tried by creating a temp xml file, and uploaded to UCM, but this does not work for multiple request. I want to create a new data file for each request inside a folder. I am looking for SS_CHECKIN_WEB_ASSET idcservice, but unable to found much on it. I believe this is used to create or check in new data file into UCM, which does not need any primary file. searchquery/6 08.09 15:55:41.200 IdcServer-1320 Execution time is 5.25 ms.
Is there any further configuration I have to in order to mark the connection as RIDC (either in JDev or UCM) ? You should enable ADF Security for your ADF application, so it will not use "anonymous" user, but "authenticated". As I can see from your error log message. Identity propagation works only with ADF Security enabled. Thanks Andrejus. Do you have any step by step guide/blog for adding ADF security (11g) for the page which is built on DataControl? Identity propagation happens through the login page. On a successful login, same user credentials are propagated to retrieve the content for the Search.jspx page. I don't think, any additional ADF security configuration need to be added for 11g. I mean, once you configure the Search.jspx page on pages.xml with the required grants Page will be visible once you login to portal from login.jspx. Yes, if you are using WebCenter. But I don't recommend using pages.xml at all, is full of bugs. Do you have any example or blog on calling Jive Search using REST Web services ? Any suggestions on this is highly appreciated? Could you suggest how we automate document upload process in UCM. We have large volume of scanned PDF files more 34,0000 files per day. I am looking for an example to add content under a folder. I have searched documentation and found "COLLECTION_CHECKIN_NEW" service for my purpose. But the documentation doesnot talk about the required parameters to be passed to this service. Can you please share an example. I have created a folder using "COLLECTION_ADD". I am able to do "COLLECTION_INFO" on the same folder. 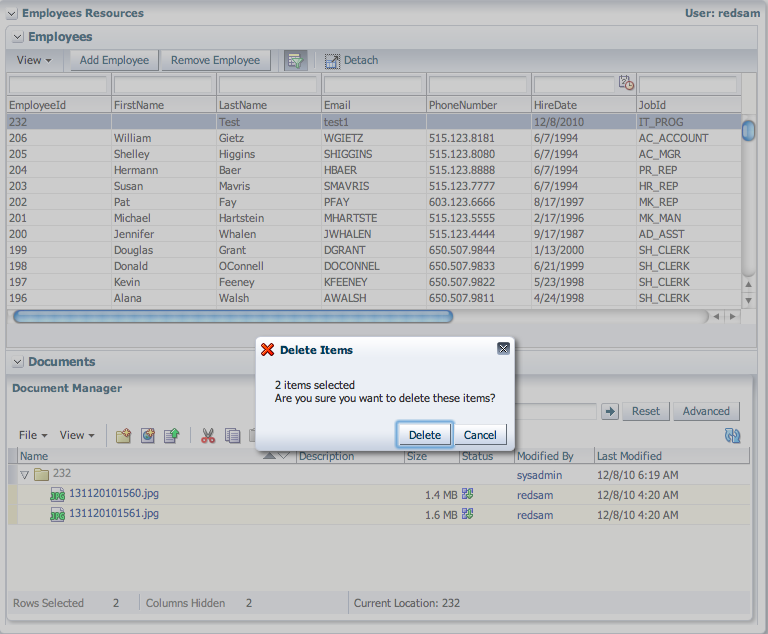 But while adding content under the same folder and I am getting "Content item '(null)' was not successfully checked in. Unable to open folder". 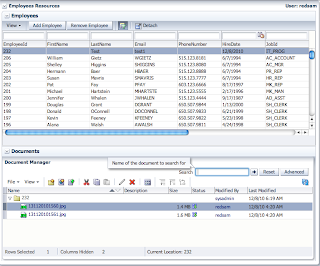 UCM user weblogic was specified as typeShapeUser and does not exist for repository UCMFileStore. Option list for content type security groups may be incomplete (calls will be made as anonymous user). 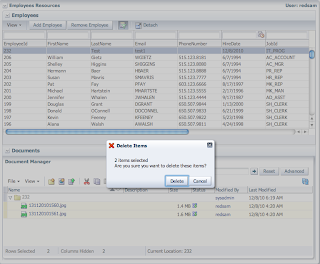 javax.jcr.RepositoryException: Unable to load content server metadata model using GET_DOC_METADATA_INFO. I see you are using weblogic user to test, do you have such user in UCM? Hi, i am new to RIDC thingy and would like to start a project with it. May i know more about the "getFolderIdFromPath" function and what kind of PATH to be expected eg. the folder and actual example? You can download example from this blog. The Oracle® Universal Content Management Services Reference Guide 11g Document is not a complete reference , and i have many problems with this guide . do you have any better guide? Thanks!! you helps me a lot! Hello, I have a problem with this example. Can anyone suggest me, please? 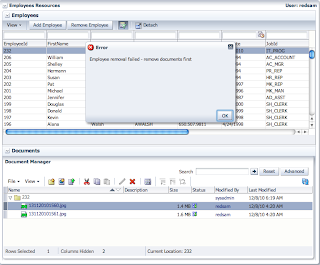 Looks like connection to the DB failed, do you have HR schema? I am tring to Approve/Reject a workflow using RIDC. There seems to be a bug in the API. 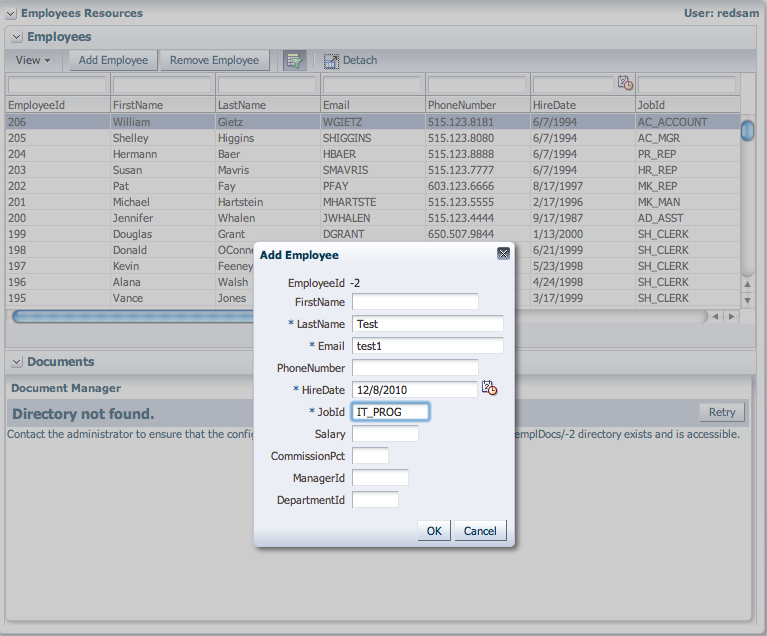 It allows my to Approve using the superuser (Weblogic). 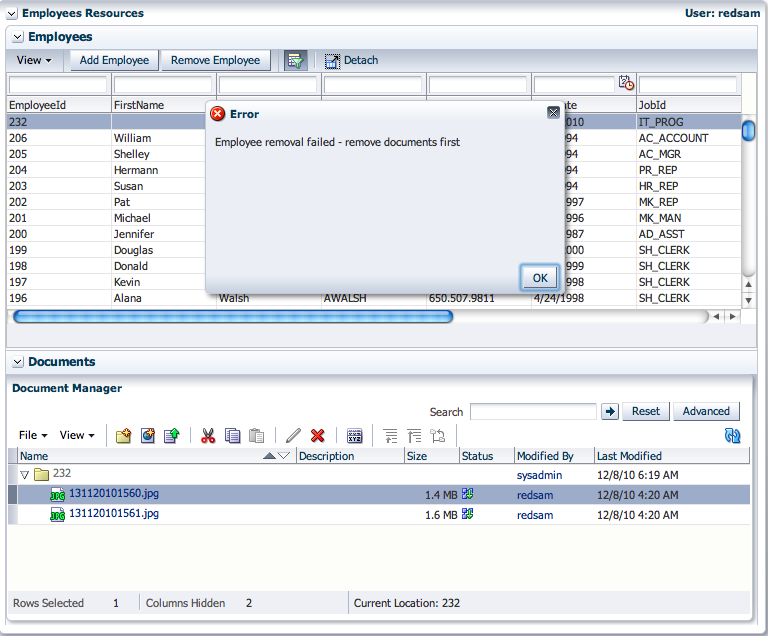 The API throws a valid error while rejecting as weblogic, but it throws a form validation error when I create user context using actual reviewer. Any suggestions? 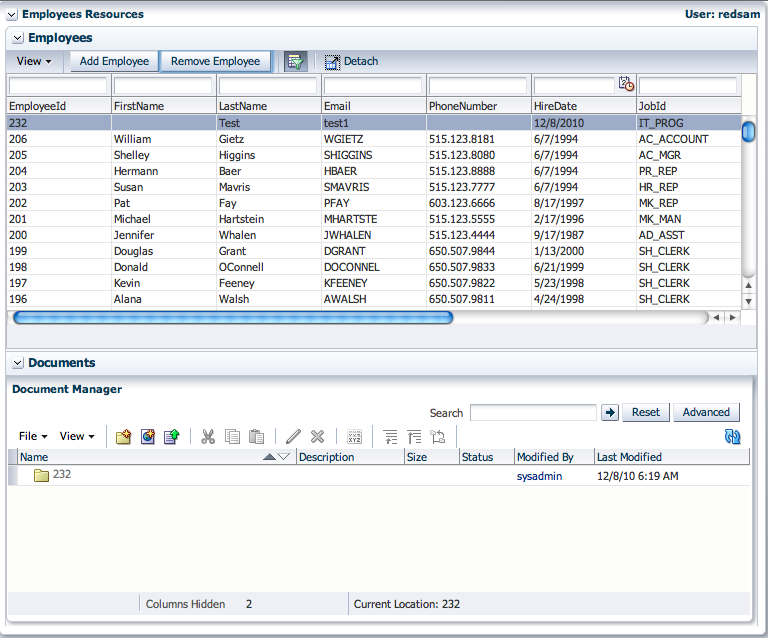 How we can integrate BPM and UCM using RIDC API. So can u provide code using BPEL based Embedded activity. 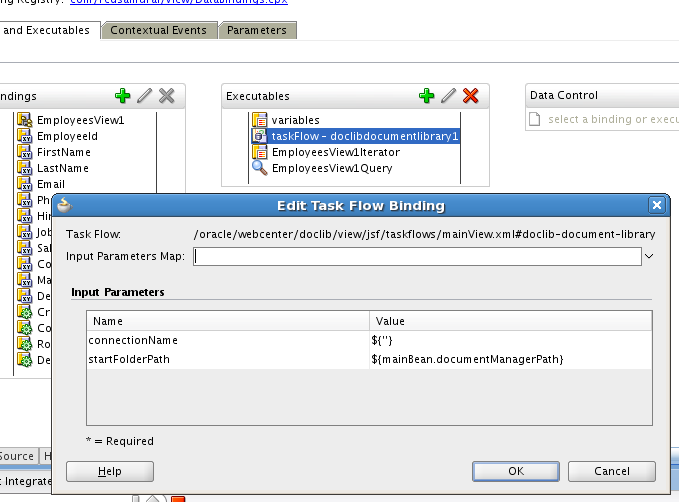 I would suggest to integrate from ADF attached to BPM, don't integrate directly into BPM flow. 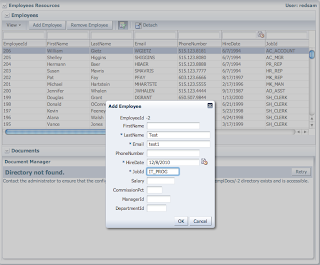 Basically you would need to build ADF UI Task Form with UCM access. This is on my TODO list to show how with sample app. I requirement goes this way.. I need to Connect UCM server of my client machine. 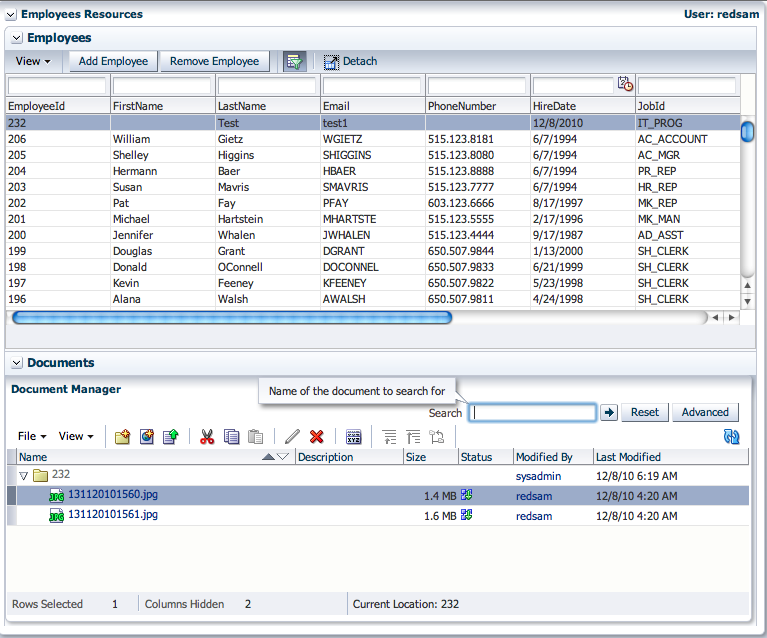 Download the Document and Show it in ADF Screen. I've created the Java Class to connect to UCM using RIDC. Now i need to Download the PDf file and Need to Show it in ADF UI. Can u plz give sample example on this.. i've to deliver soon. Can you please tell me whats the issue in the code. I am implemented the same in webcenter portal application.but I am facing some issue while using treebavigation on leftside of the document manager taskflow.Once I used that when I click in employee the document manager is not rendering.illegalStateExpetion. ppr problem.if i ran your application its running fine. I am using jdev 11.1.1.7.o and webcenter as 1.1.1.8.0 version.